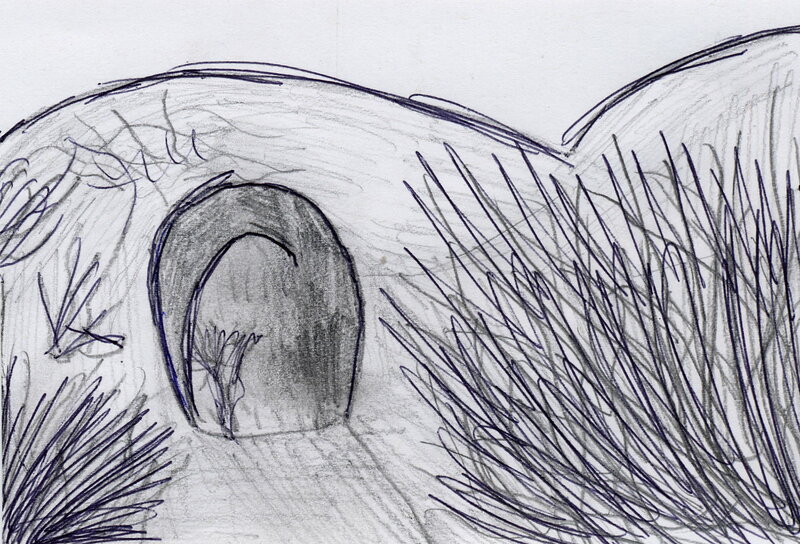 Beware of the rats and flees in Eyam, the shark infested waters of Dovedale and take cover from the bombs dropping on Monsal Dale! Create your own adventures and make a pop-up theatre by following our step-by-step guide. The film was created for the Enlightenment! project by artists Gordon Maclellan and Sarah Males and was funded by the Digital Ambassadors Network (MLA). 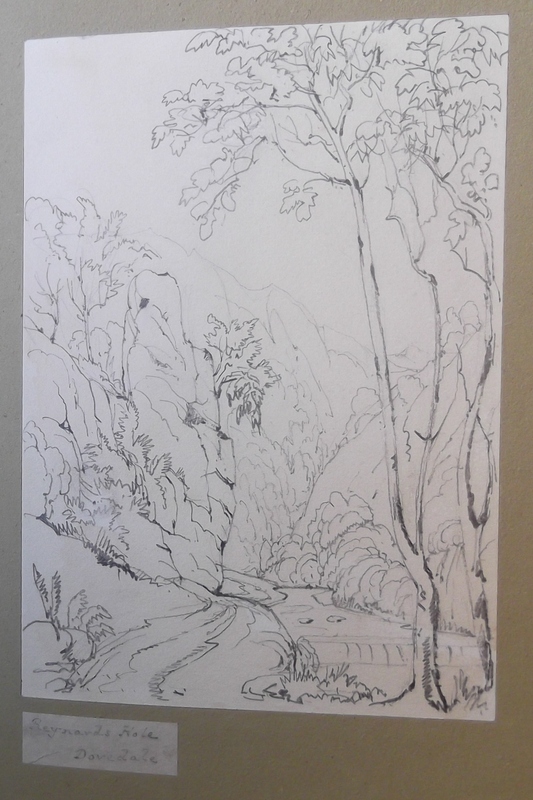 I recently came across a fascinating post about Dovedale featuring in Jane Austin’s ‘Pride and Prejudice’. 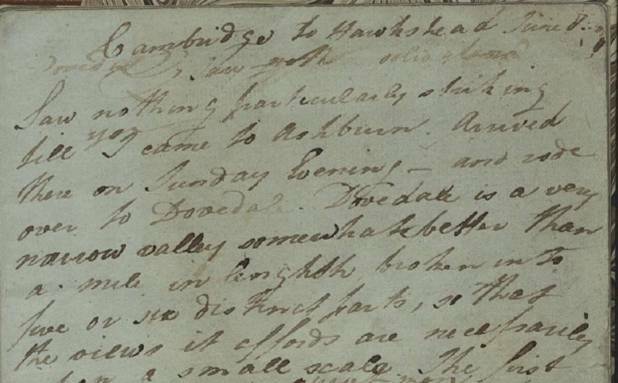 Interestingly Austen never visited Derbyshire yet knew of its charm through the prints and guides that were widely available at the time. 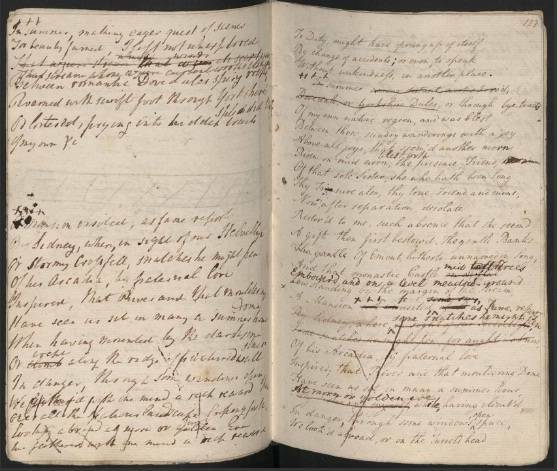 Visit the austenonly blog to find out more. 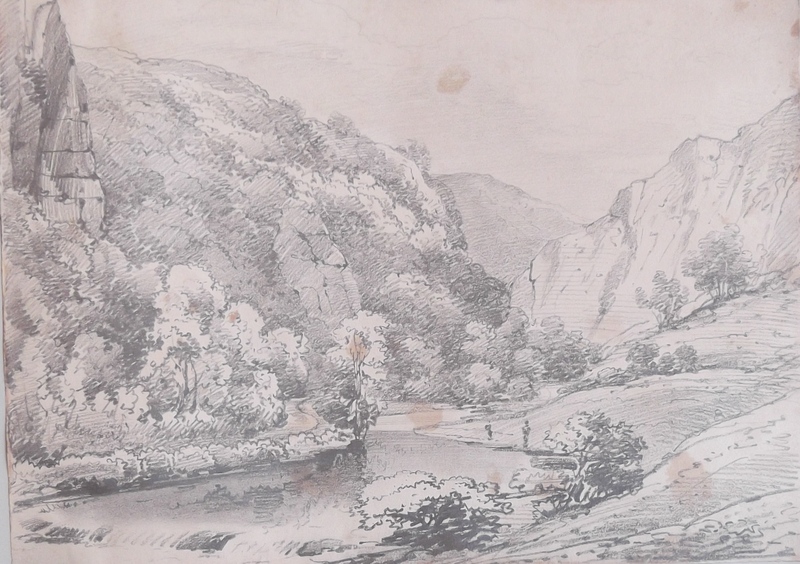 Pupils from Queen Elizabeth’s Grammar School in Ashbourne have been exploring Dovedale through 18th and 19th century pictures, maps and travel writing. 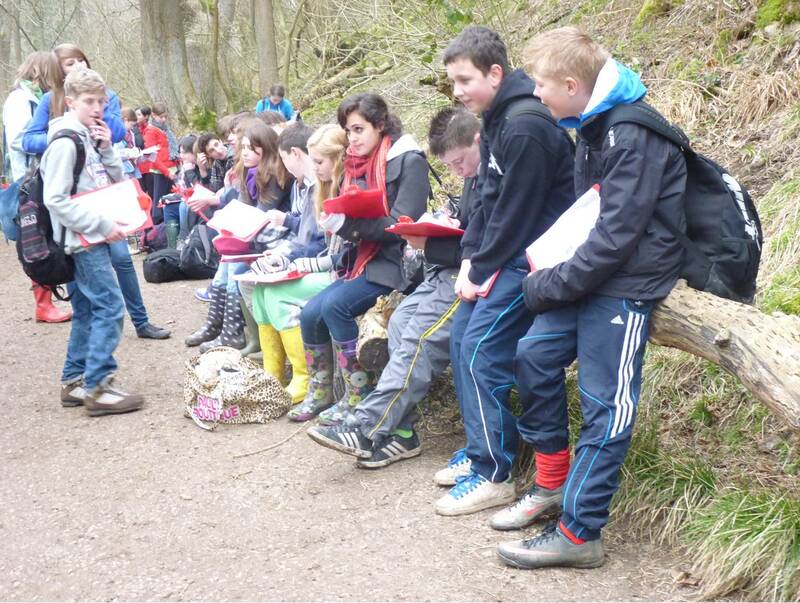 90 pupils from the school visited Dovedale in March 2011. 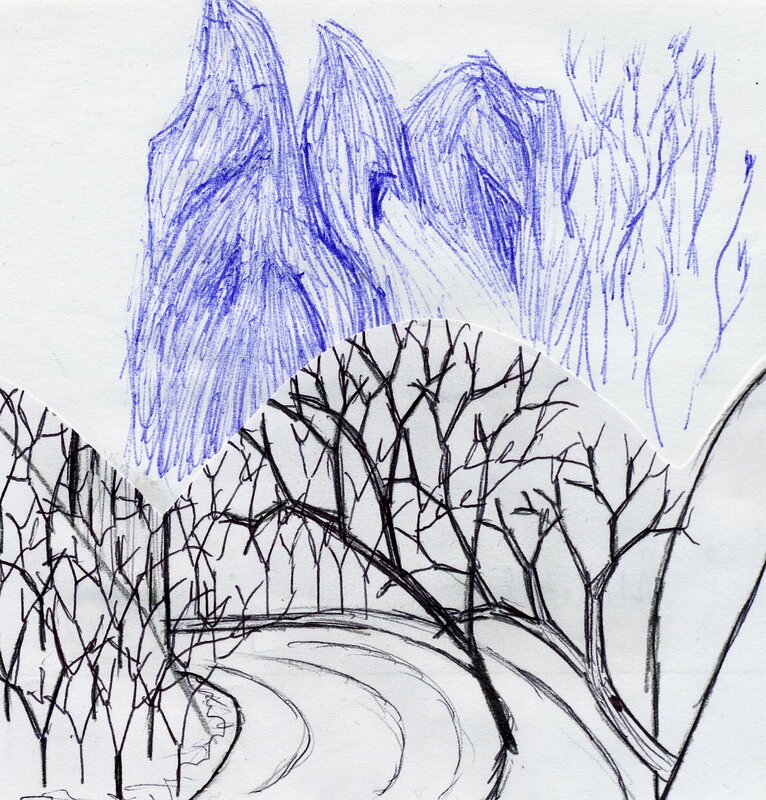 They sketched, photographed and wrote about the Valley, comparing the differnces in visiting it today with the past. 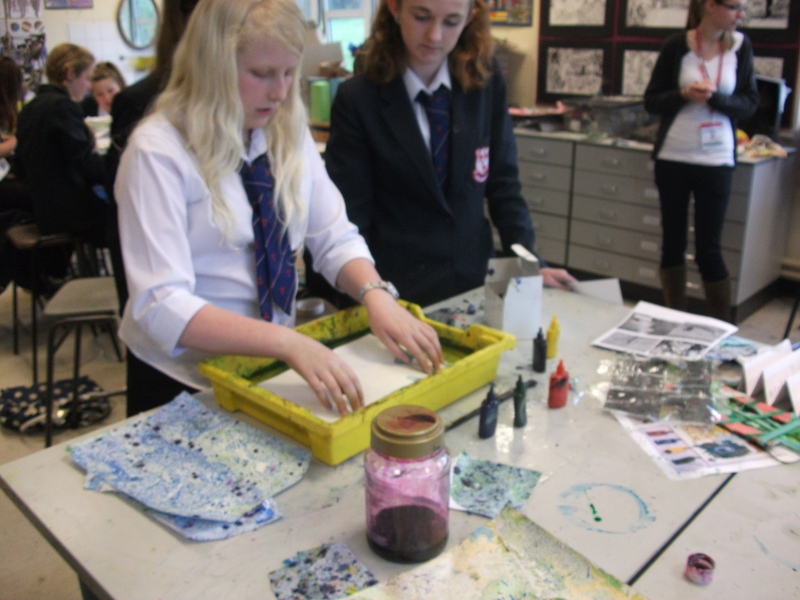 60 pupils from Year 7 and Year 9 created visitor guides while pupils from Year 8 made mixed media art inspired by their fieldtrip. They learnt new techniques and incorporated weaving, batik and marbling into their finished pieces. 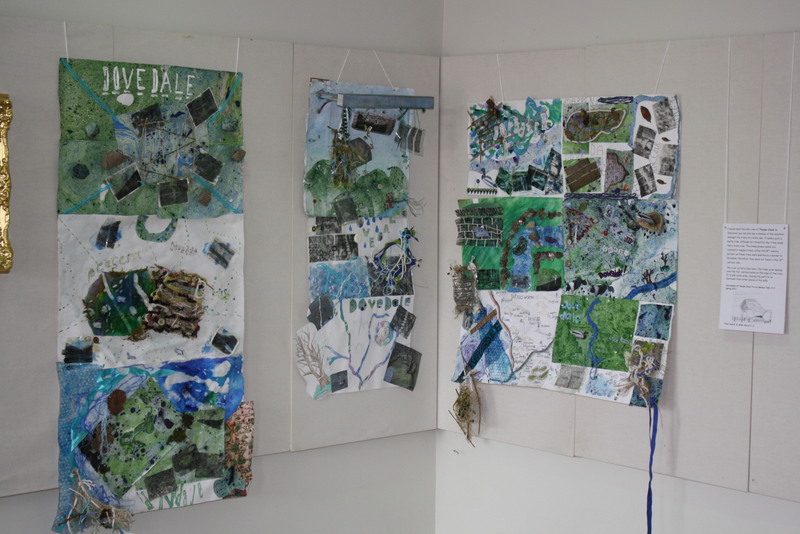 The project culminated in an exhibition at the National Trust Visitors Centre at Ilam, which ran from 13 – 25 May. The project has been a partnership between Buxton Museum, the Peak District National Park and teachers from Queen Elizabeth’s Grammar School. It was funded by Renaissance East Midlands. 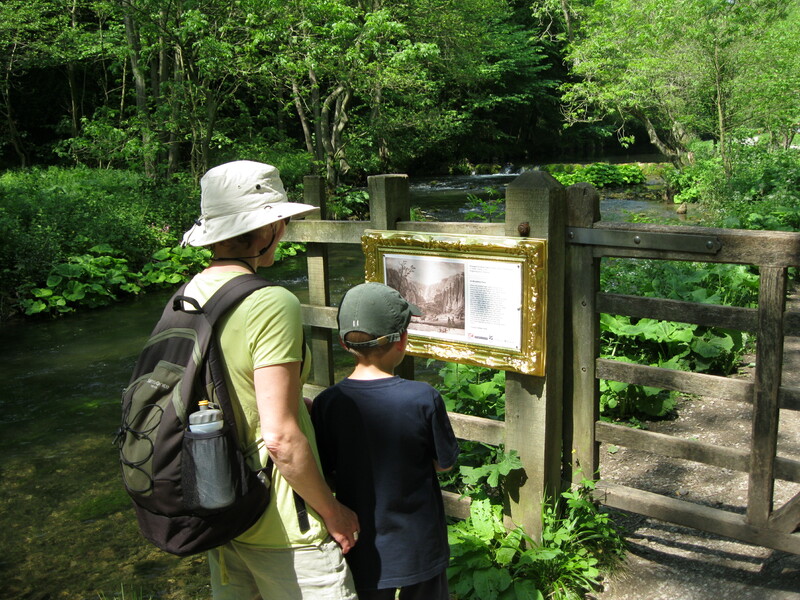 In June Dovedale was transformed into a huge open air picture gallery. 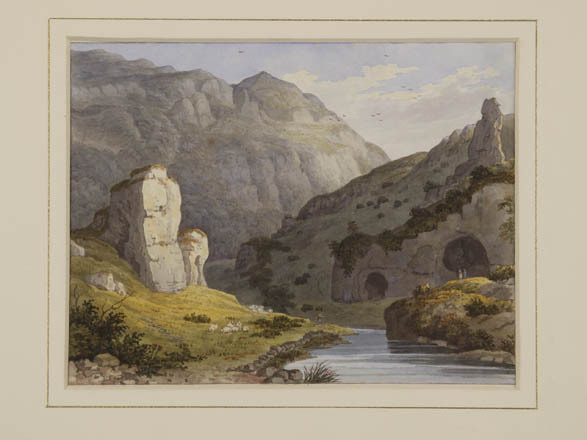 From the 5th to the 12th of June the Pictures in the Landscape showcased reproductions of prints and paintings from the pubic collections in Buxton and Derby. 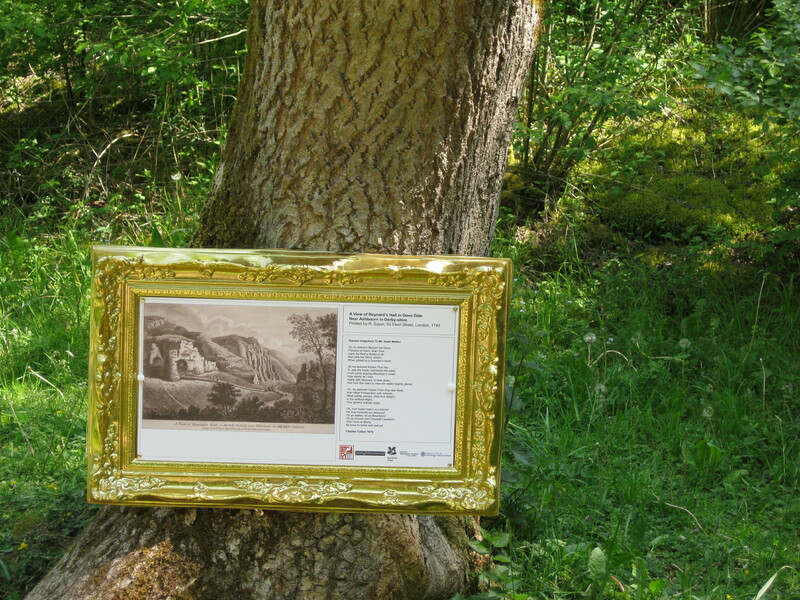 The exhibition was organised in partnership with the National Trust and the Derbyshire Literature Festival with poems and prose accompanying most of the pictures. 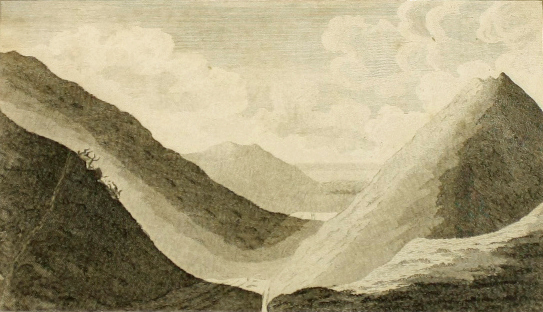 Dove Holes. Henery Moore of Derby. Buxton Museum and Art Gallery. 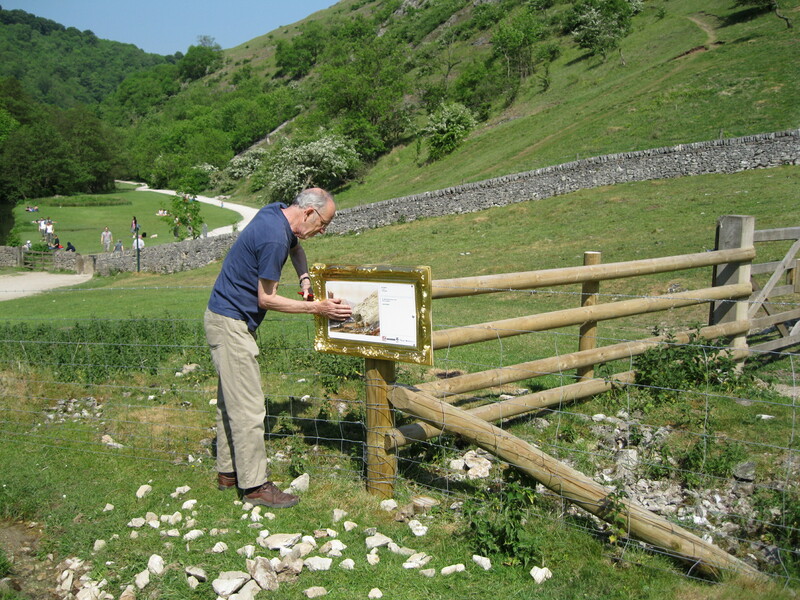 Ann Atkinson, Derbyshire Poet Laureate led a poetry walk around Dovedale and shared some of her favourite landscaped inspired poems. 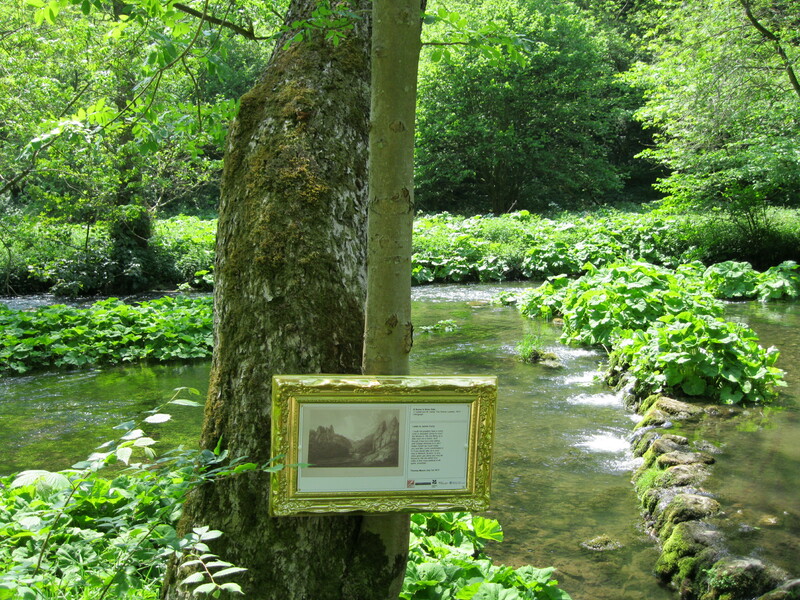 Ros Westwood, Derbyshire Museum Manager led a walk later in the week to talk about the art works displayed. 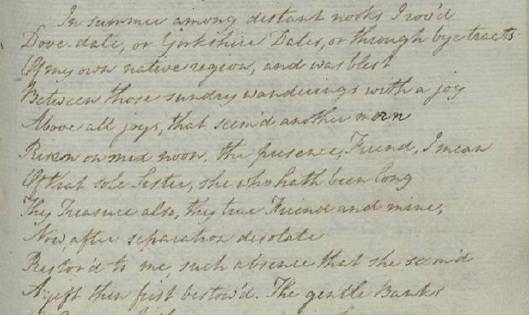 Many of the greatest thinkers of the eighteenth century were drawn to the beauty of Derbyshire. 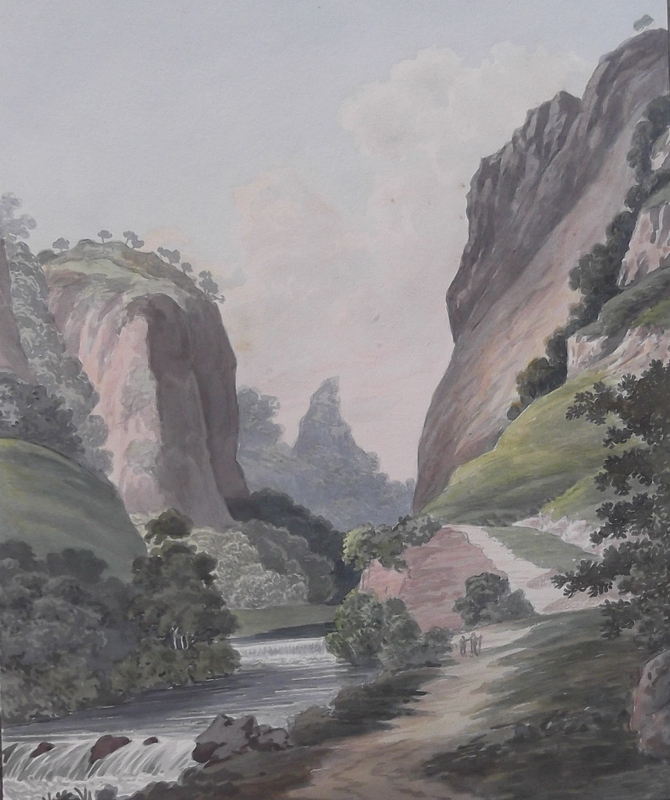 Dovedale proved to be a source of inspiration for scientists and writers who shared a growing fascination for the natural world. 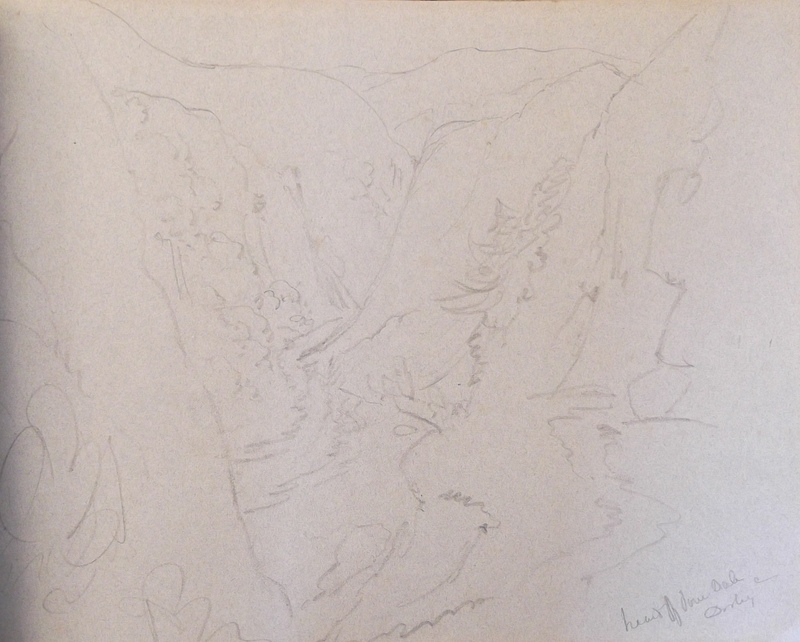 Pictures in the Landscape proved a great success and it is hoped that the exhibition will be displayed again later in the year.